A 56 year old female was critically injured in a hit and run accident in the 300 block of Francis Street Saturday morning 29-July. At 04:04 a passerby reported a person down in the street. Law Enforcement officers arrived minutes later to find the woman unconscious and bleeding. Evidence at the scene indicated she was struck by a car. Firefighter-Paramedics on Medic 19 began treating her for multiple traumatic injuries and a head injury. Click here for more information. 7/25/2017- All CCFR Personnel: It has come to our attention that the V-MUTE button (purple top side button) will work on any talkgroup on the P25 zone which could affect your ability to receive communications. Click here for more information. 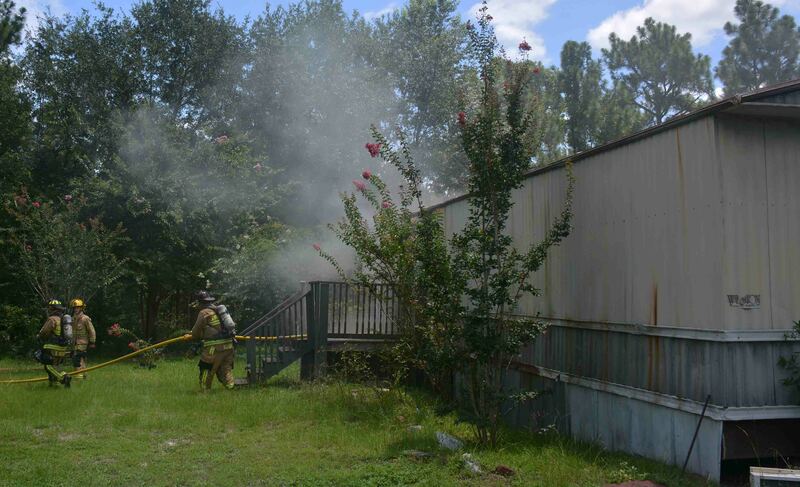 At 13:08, Tuesday afternoon 25-July, Fire-Rescue units responded to 128 Crestview Lane north of Walterboro for a reported structure fire. Engine 19 arrived to find moderate smoke visible from the singlewide mobile home. All occupants had already safely exited the building. Firefighter-Paramedics forced entry through the front door and located the fire in a rear bedroom. Click here for more information. 7/23/2017- All CCFR Personnel: The PAL800 Radio System P25 Conversion is tentatively scheduled for tonight at 20:00. Once the conversion occurs, you will have to manually change your issued radio and mobile/base radios to the new P25 zones in order to transmit or receive. Click here for more information on how to change your radio / apparatus radios to the P25 zones. At 15:00 Sunday afternoon 23-July, Medic 18 was dispatched to a residence in the 400 block of Beavers Pass Road south of Smoaks. A 63 year old male accidently chopped his foot with an axe while working in the yard causing severe damage and heavy bleeding. Firefighter-Paramedics placed C.A.R.E. Flight on standby while enroute to the location. Once on scene, the crew controlled the bleeding and bandaged the wound. Click here for more information. 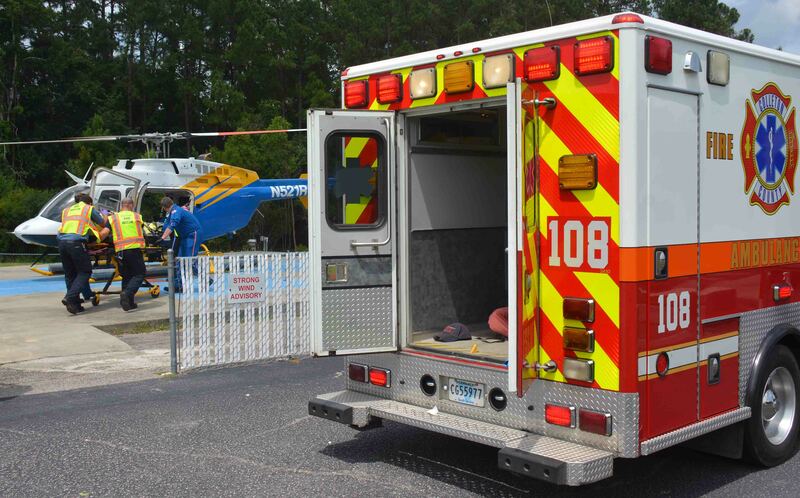 Six people were injured, one critically, in a single car MVC on I-95 near the 62 mile marker southbound just south of the McLeod Road interchange, Saturday morning 22-July at 09:27. 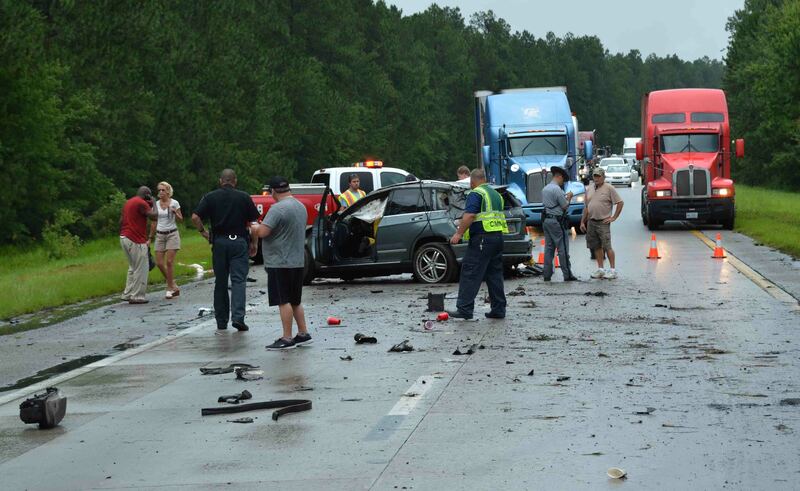 A southbound Honda Pilot lost control and entered the median where it struck several trees. An eight year old boy was seated at the point of impact on the driver’s side and received multiple traumatic injuries, including a head injury. Firefighter-Paramedics arrived minutes later to find the boy unconscious with life threatening injuries. Click here for more information. 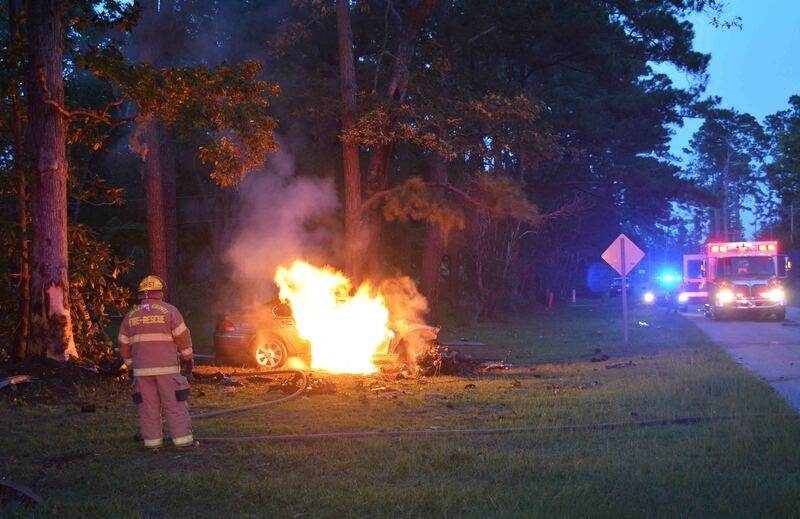 A 54 year old Florida man was killed in an early morning MVC on I-95 near the 49 mile marker southbound. He was the driver of a semi-truck that left the roadway at a high rate of speed and entered the woods on the right shoulder. 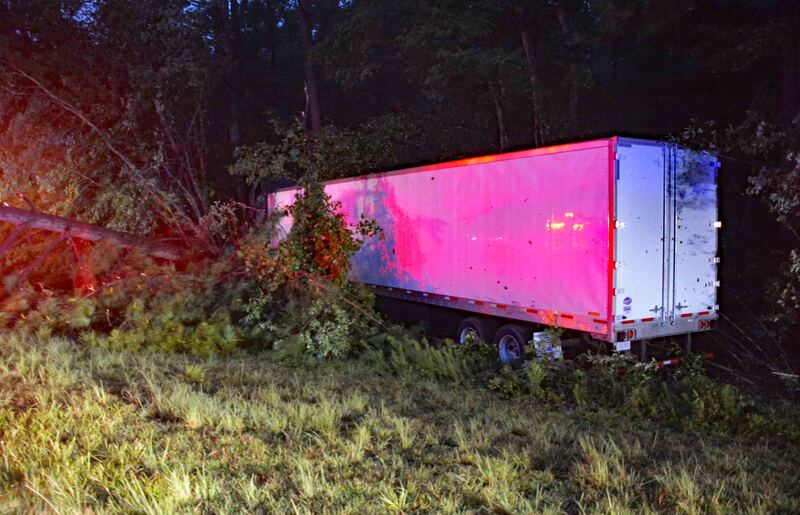 The truck knocked down several large trees and received heavy damage in the collision. The cab was completely separated from the chassis and displaced approximately eight feet. Click here for more information. 7/18/2017- All CCFR Personnel: The PAL800 Radio System P25 Conversion is tentatively scheduled for Monday, July 24, 2017 at 20:00. Once the conversion occurs, you will have to manually change your issued radio and mobile/base radios to the new P25 zones. Click here for more information. An adult female was critically injured in a single car MVC on Interstate 95 at 65 mile marker Monday morning 17-July at 11:06. The northbound Mercedes left the roadway at a high rate of speed and entered the median. The car struck a culvert, became airborne and flipped over several times before coming to rest upright blocking the southbound lanes. The car suffered heavy damage. Click here for more information. 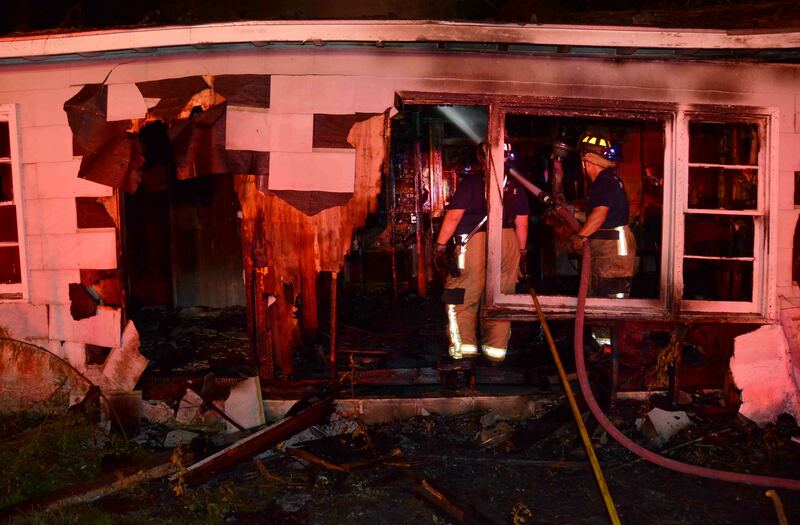 A singlewide mobile home was completely destroyed in an early morning fire Saturday 15-July. 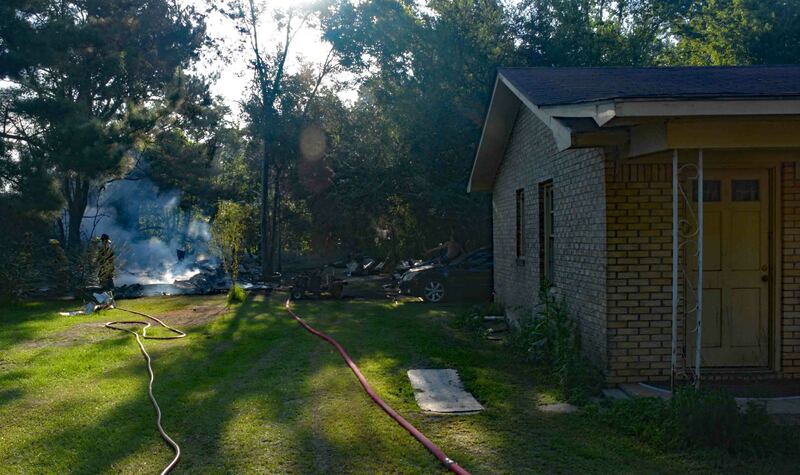 At 07:23, the homeowner woke up to discover the mobile home located in his back yard had burned down during the night. The building was used for storage. Engine 26 arrived to find the pile of burning debris and the frame rails. Click here for more information. 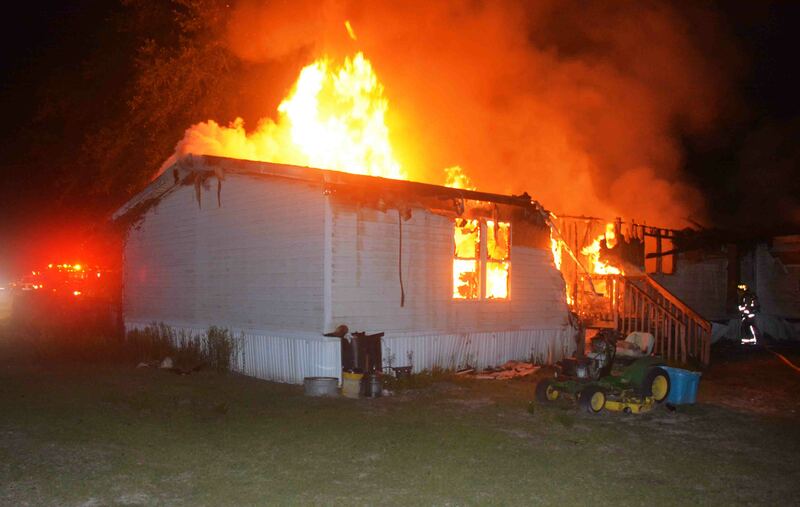 An abandoned residence was set on fire Friday morning 14-July at 410 Poplar Street east of Walterboro. At 01:04, a neighbor saw flames coming from the roof of the single story wood frame building. Engine 19 arrived to find the structure approximately 20% involved. Firefighter-Paramedics deployed two 1-3/4 handlines and quickly extinguished the fire. The home was vacant and contained no furniture. The fire was contained to the room of origin and the roof above the room. Click here for more information. 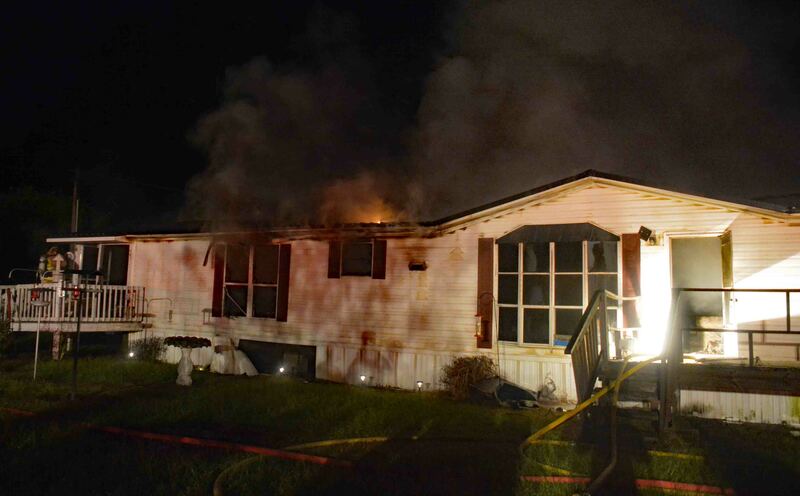 A doublewide mobile home was heavily damaged in a late night fire at 1334 Forks Road south of Islandton Sunday 09-July. At 23:17, 9-1-1 was notified of smoke and flames visible from the residence. Engine 15 arrived minutes later to find heavy fire conditions inside the structure and flames coming through the roof in the center of the building. Firefighters deployed multiple handlines to combat the fire. Click here for more information. 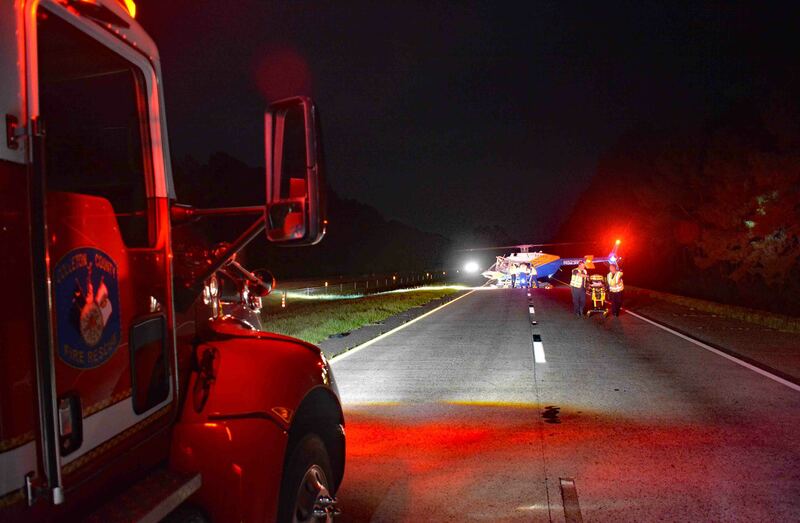 Four people were injured in two separate MVCs near the 45 mile marker southbound on Interstate 95 south of the Rest Area, Thursday night 06-July at 23:54. The first accident occurred when a southbound Kia Sorento traveling at a high rate of speed, crashed into the rear of a slow moving dump truck who was performing roadwork. The Sorento received heavy damage, severely injuring the unrestrained adult male driver and causing non-life threatening injuries to the female front seat passenger. Click here for more information. A 23 year old man was critically injured in a high speed single car MVC on Coolers Dairy Road just east of Round O Road, Tuesday evening 04-July. 9-1-1 received several reports of the incident at 20:23 advising the vehicle had hit a tree and the driver was ejected. The callers noted the vehicle was on fire. Firefighter-Paramedics arrived to find the car with massive damage off of the roadway fully involved. The engine was lying next to the burning car. Click here for more information. 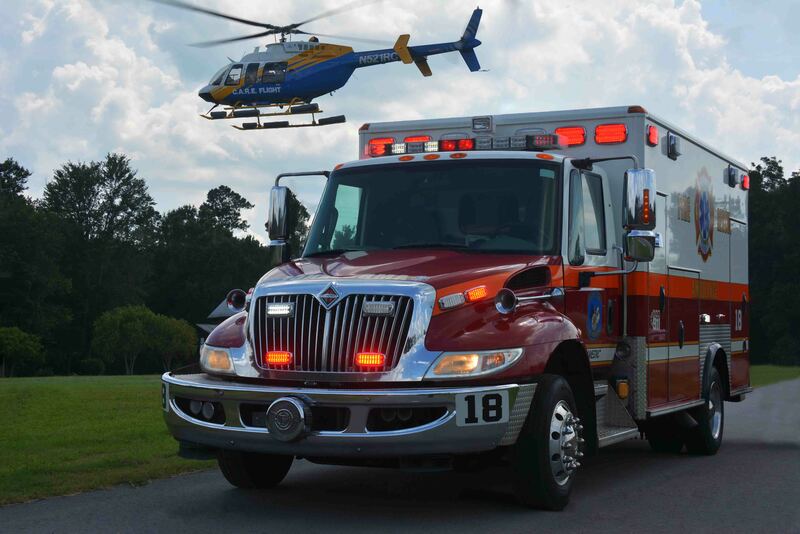 An Adult male was seriously injured in a single vehicle motorcycle accident on Hudson Mill Road at the intersection of Indian Creek Drive at 14:15 Monday afternoon 03-July. The eastbound motorcycle lost control in a curve, left the roadway and the driver came off of the bike landing in the roadway. 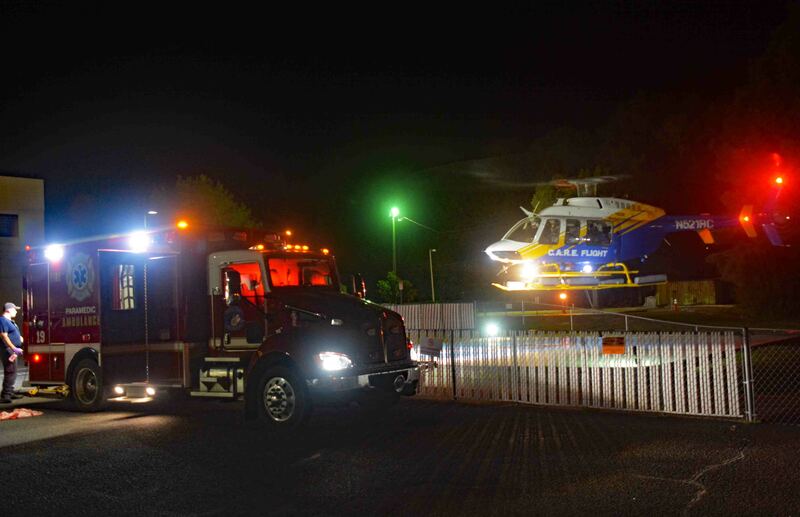 The man suffered multiple traumatic injuries, including a head injury. Firefighter-Paramedics quickly treated the man at the scene and placed C.A.R.E. 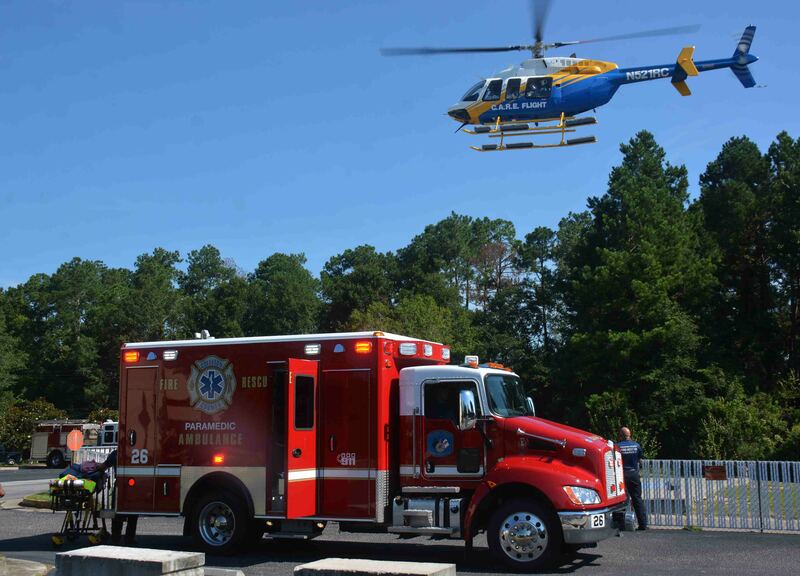 Flight on standby at Colleton Medical Center. Click here for more information. We are hiring! Colleton County Fire-Rescue is seeking applicants for nine full-time positions. Click here for more information. At 21:20 Saturday night 01-July, Fire-Rescue units were sent to 253 Jenkins Club Road east of Cottageville for a structure fire. A neighbor heard noises and upon walking down the road to investigate he discovered the residence on was ablaze. No one was at home when the fire occurred. Engine 9 arrived minutes later to find the triple wide mobile home approximately 60% involved with the roof in the rear of the structure already collapsed. Click here for more information.